Given the serious political and social messages embedded in the tale, it's unfortunate that the action emerges as preposterous as well as humorless. "Reality" Nabokov liked to say is a word always to be in quotes, and entertainers or artists are due license in depicting any versions of it. 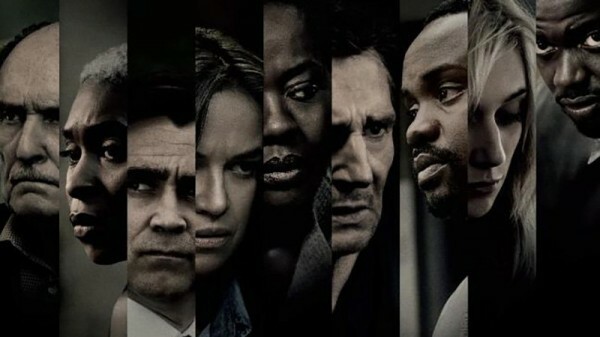 But Widows, for a film so serious about itself, certainly fails to stay for a minute within the realm of the likely. What Viola Davis' education union official is doing married to Liam Neeson's master criminal and living in a big fancy penthouse is never clear. Anyway, she learns her husband and his crew, whose incineration we've observed in cutup form, were robbing Jamal (Brian Tyree Henry), a black gangster turned local political candidate, when they went up in flames. He comes and warns her she must pony up the missing $2 million PDQ or he'll off, at least her beloved fluffy white dog (herself a prescient player in the action), and maybe her. 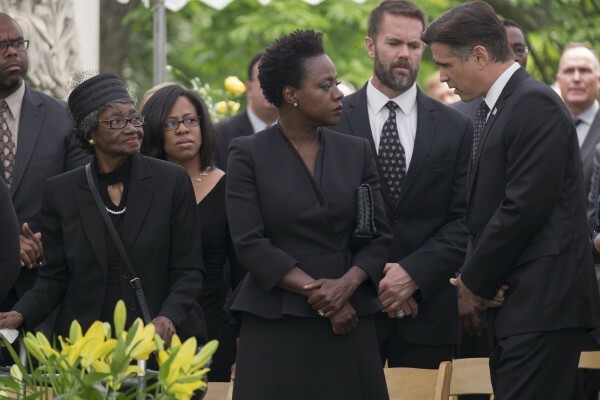 This is where the "widows" theme comes in, and the multi-cultural empowerment-by-crime. Harry's (Neeson's) crew were all married, so there are four of them, including Veronica (Davis), She goes looking for the wives of the exploded crew to persuade them to join her in a caper. And here comes another major implausibility. We're to suppose that Harry left behind a key to a safety deposit box containing a bulging notebook full of MSS recording all Harry's major exploits. Really? And these include plans for one more job, as yet uncompleted, that will net $5 mil. That's just enough to pay Veronica's debt to Jamal and tide her and her bereaved gangster moll sisters over for the years ahead. The silliness of this and what is to follow is only emphasized by the McQueen's solemnity in staging it. It could be fun, only it seems McQueen doesn't really do fun.